The BagBoy Triswivel II features swivel tech technology allowing the front wheel to swivel 360 degrees offering the ultimate in maneuverability. The Triswivel II features 9.5 inch front and 11.5 inch rear oversized wheels that roll easily through grass. 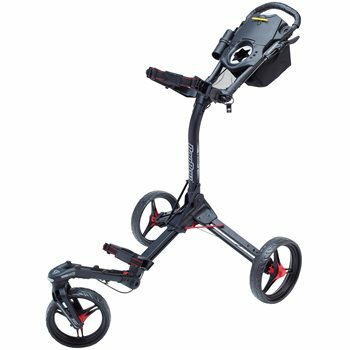 The lightweight, weather resistant aluminum frame comes in at 17 pounds.